In the first weeks of the Great War in August 1914 many thousands of young men from East Sussex flocked to the colours to serve their King and Country. Over three thousand were formed into three new battalions of the Royal Sussex Regiment, the 11th, 12th & 13th, known as ‘Lowther’s Lambs’. They took their name from an especially enthusiastic recruiter, Claude Lowther (1870-1929), who was the owner of Herstmonceux Castle and a Tory MP for a Cumberland seat. Lowther’s efforts resulted in him being given the rank of Lieutenant Colonel, but he did not himself participate in the fighting, spending the war at Herstmonceux. After 18 months training Lowther’s Lambs were sent to France, and on 30 June 1916 the men of these Southdowns Battalions went over the top at ‘The Boar’s Head’, near Richebourg in France. What happened next has become known as ‘The Day that Sussex Died’. Dr Chris Kempshall will examine the events of this day and explain how men from East Sussex, including a number from Lewes, gave their lives in an attempt to ensure success for a much bigger operation planned for the following day, the first day of the Battle of the Somme. The Bishop of Chichester’s 1724 survey of the churches in his diocese asked questions about the physical state of the churches in his diocese. All Saints, St John-sub-Castro and St Anne were all stated to be in good repair, while St Michael was “in generally decent repair”. However, things were not quite so ship-shape at Southover. A large chancel had fallen down many years ago, and the remainder of the church was “newly repaired by a brief”. A brief was an appeal over a wider area for financial support of a church whose parishioners were unable to repair or maintain it themselves, most usually following a fire, storm or similar disaster. It was also noted that a steeple (tower) had been newly built to the first floor, and four good bells had been put in it, but the project had not been completed “for want of collection”. As a result the timber had become so decayed by a few years exposure to the weather that three of the bells had to be taken down, “and now lie in the church”. In 1642, with the start of the English Civil War underway, the House of Commons authorised Captain Ambrose Trayton to raise a force of 200 men for the defence of Lewes. The Traytons were lawyers, and lived in Trinity House on the north side of School Hill (213 High Street), still occupied by the solicitors Adams & Remers. The house name derives from it being the site of the medieval Church of the Holy Trinity. Captain Trayton kept his unit’s arms in his house, and it still contains an armoury where the pikes and other equipment were stored, and a magazine building. Captain Ambrose Trayton died in 1679, aged 86. For the following two centuries ‘Trayton’ was used as a boy’s Christian name in the Lewes area. Source: Adams & Remers website, history section. “John Aps, carrier, comes to the Talbot in Southwark on Wednesday, goes out on Thursday. Mr Wiggon’s waggon comes to the same place, in and out the same days. There was apparently no stage-coach to Lewes at this pre-turnpike date, and no regular service of any type was listed to Brighton. It is notable that each agent made only one journey per week, and all three arrived on Wednesday, departing homewards again on Thursday. This probably reflects the state of the roads of the day, with the round trip taking a 6-day working week. A pedestrian could easily cover the distance in two days. Heavy goods to and from London would sail down the Ouse, round the coast and up the Thames. Henry Tapsfield seems to have prospered in his trade, which he continued up to his death in 1719. In 1704 Henry Tapsfield of Cliffe, carrier, was able to pay £3,200 to purchase Lower Clayhill Farm in Ringmer and Barcombe, apparently without the need for a mortgage. The farmhouse was beside the Uckfield Road (now the A26) and he promptly built a new stable for his horses on the roadside waste. His land lay all along the north side of the lane to Barcombe Mills. His son, another Henry Tapsfield, continued on the carrier’s business until at least the 1740s, though his 1754 will describes him as Henry Tapsfield of Cliffe, woolstapler. His grandson called himself a gentleman, and moved from the Cliffe to Lewes. The farm remained in the ownership of his direct descendants until finally sold by two elderly clergyman great-great-grandsons in 1862. The first Henry Tapsfield kept some of the land in his own hands, but none of them ever lived on the property. The farm was often leased to the merchants who operated the conveniently close Barcombe Mills. The equivalent section of Delaune’s original 1681 ‘Angliae Metropolis’ is not fully available online, but the part that is available (surnames starting with A or B only) includes John Alsop senior, carrier, Lewes, and William Aldridge, wagon, Lewes. “At the close of the last century the building became in so infirm a state as no longer to admit of divine service being performed in it with safety. It was, besides, too small for the increasing population of the parish, as it would scarcely accommodate four hundred persons. A difference of opinion, however, existed on the question whether repairing or rebuilding were the most proper expedient. 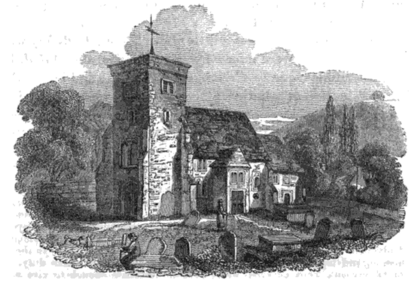 Those who favoured the former plan contended that the church might be substantially repaired for one-tenth of the expense which would be incurred by rebuilding: and that the many proprietors of houses to which no sittings were attached ought not to be accommodated by an enlarged structure at the expense of the entire parish. On the other hand, it was asserted, the state of the church did not admit of permanent repair; and that all the inhabitants were fairly entitled to accommodation therein, without regard to the ancient or modern date of their dwellings. Above is a view of the old All Saints church, before all but the tower was taken down. This photograph shows Spring Gardens, Lewes, a road of small terraced houses leading off North Street that now hardly exists. Most of the houses have been replaced by a car park. In its day it was a convenient location for workers at John Every’s Phoenix Ironworks. 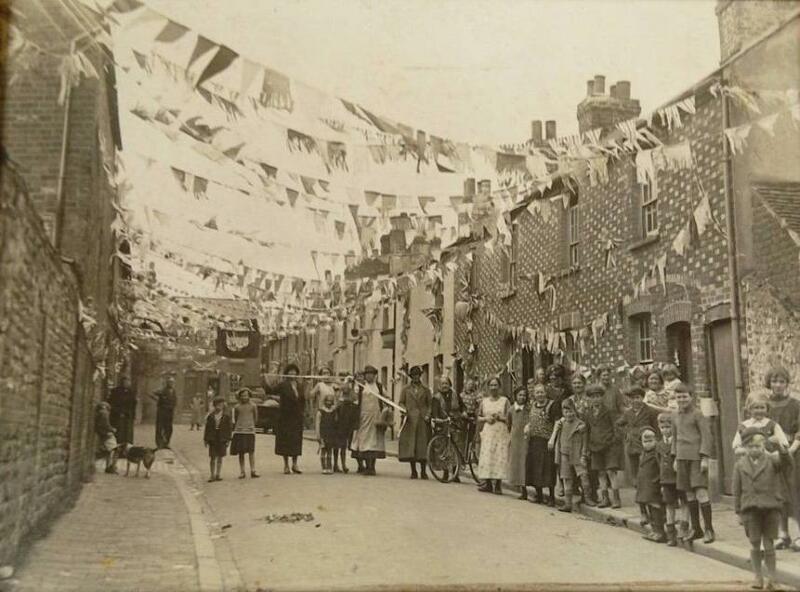 It is shown here decorated for some inter-war festivity, perhaps a coronation or a royal jubilee. Source: an unattributed mounted photograph sold on ebay in September 2016, after spirited bidding. This rather faded early postcard of Abinger Place and St John sub-Castro by the Photochrom Company, was advertised on ebay in February 2017 and sold for £58 after competitive bidding. The building of the cinema was the original catalyst for this book and Reel Lewes, a group of Lewes-based film professionals and researchers led by Ruth Thomson, have spent two years investigating the history of the three previous cinemas in the town. The County Theatre (Watergate Lane), the Cinema de Luxe (School Hill) and the Odeon (Cliffe) operated between them from 1910 to 1971. This oral history project recorded what local people remember about cinema-going in decades past and led to a short film as well as the book. While not intended to be a comprehensive history of Lewes cinemas, Screen Stories does vividly bring to life the importance of film and cinema, both in the life of the town and in the lives of its residents. With the aim of producing an enticing and amusing read, it combines photographs, advertisements, film posters, programmes, newspaper articles and architectural plans along with the enthusiastic and enduring memories of the people who frequented these picture palaces. Screen Stories can be pre-ordered online at £8.99 plus p&p. The book can also be bought at the 12 June meeting and at Depot from 27 May. 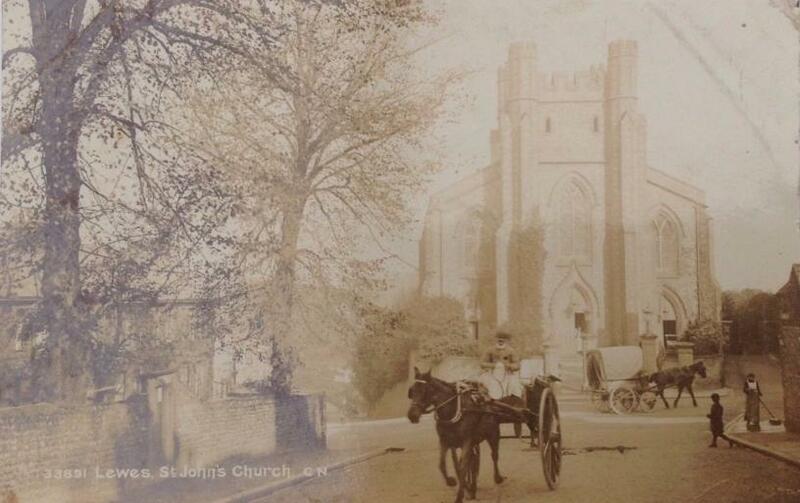 This entry was posted in Ecclesiastical History, Lewes, Local History, Military History, Social History, Transport History. Bookmark the permalink.